Bring your vehicle in for our tire special starting at $79.95 in LaGrange, GA, at LaGrange Toyota, also serving Newnan, Columbus and Auburn, AL. Plus tax and applicable fees. Not valid with any other special, offer or coupon. Must present coupon at the time of service write up. See dealer for details. 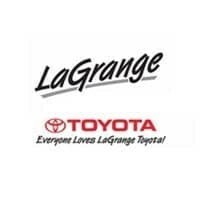 Right now, purchase an engine air filter starting as low as $15.95 in LaGrange, GA, at LaGrange Toyota, also serving Newnan, Columbus and Auburn, AL. Stay safe in the rain with 10% off wiper blades in LaGrange, GA, at LaGrange Toyota, also serving Newnan, Columbus and Auburn, AL. Right now, purchase batteries at 5% off in LaGrange, GA at LaGrange Toyota, also serving Newnan, Columbus, and Auburn, AL.